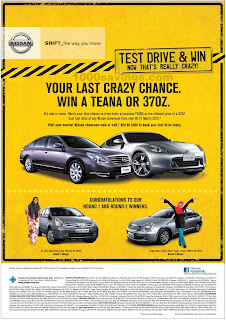 Win a TEANA or 370Z. It's now or never. 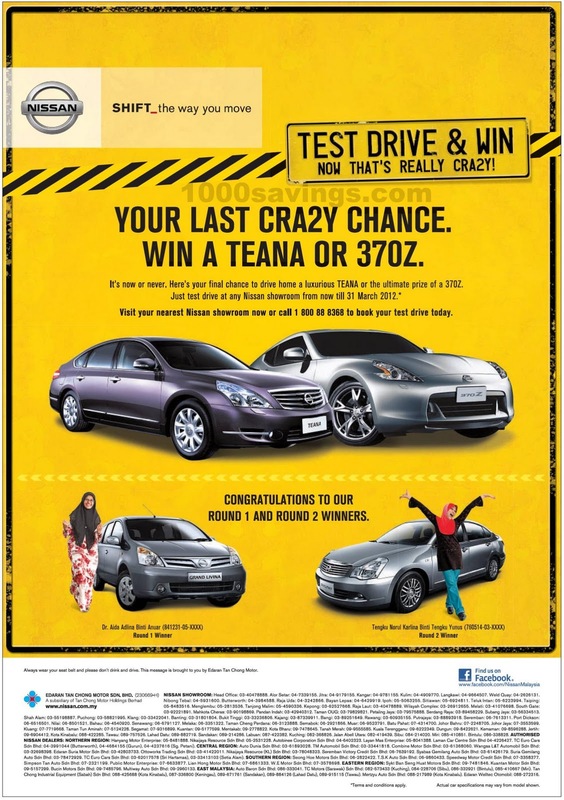 Here's your final chance to drive home a luxurious TEANA or the ultimate prize of a 370Z. Just test drive at any Nissan showroom from now till 31 March 2012. Visit your nearest Nissan showroom now or call 1 800 88 8368 to book your test drive today. Remember to share this piece of great news with your friends yah! Click the ads above to find your nearest Nissan showroom.